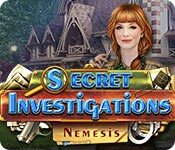 The exciting next chapter of the Secret Investigations series is here with addictive multilevel gameplay for fans of detective stories and hidden object mysteries. Test your detective skills against 10 intricate cases. 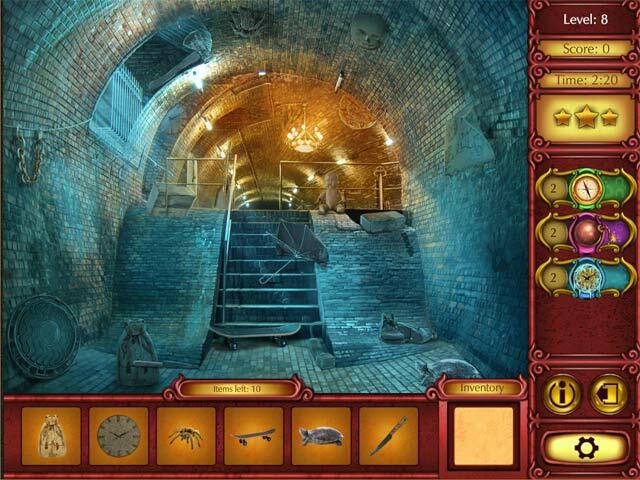 Search hidden object scenes and solve mini puzzles to extract clues. The culprits have tried hard to cover their tracks. See if you can crack the case! Secret Investigations: Nemesis is rated 3.6 out of 5 by 7. Rated 5 out of 5 by Uppity_Pup from SOMETIMES THE CLASSIC HOGs ARE JUST WHAT I NEED TO RELAX With over 100 unique scenes to search, the only thing I miss are minigames. It might not be your thing, but at least give the demo a try. Rated 5 out of 5 by sly8ball from A TRUE HOG!! Love the true HOGs; this one as well as Secret Investigations are just that. Would love to see more of this type HOGs. Rated 5 out of 5 by Ciragh from Pretty Good Well, I ended up purchasing this one. I like that you can go back and play each scene to increase your score. I will admit that some of the objects are almost impossible to see, but you do get hints and can replay it again and again. 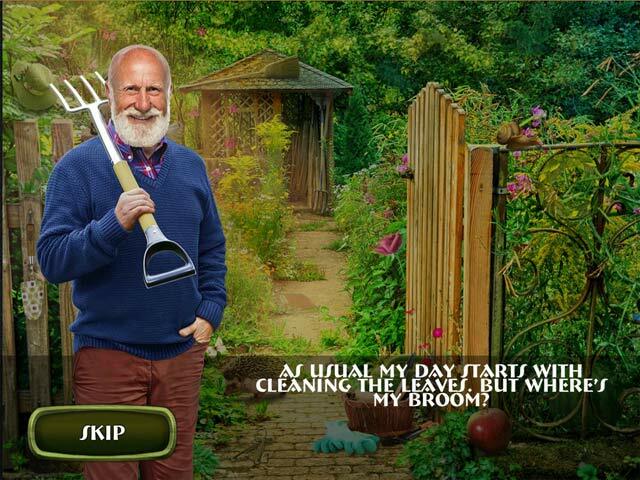 Over all, it's an pretty good game. Rated 5 out of 5 by PCThurman from A challenging fast paced HOG The music in the game was calming and unobtrusive. the scenes were well put together. You play against the clock so the faster you can find all objects, the more stars you will earn. Each level has 1 object you will need to find and add to another object to combine them. After completing about 15 puzzles, you will need 40 stars to continue the investigation. This is no problem as you can go back a redo any scene that you did not get 3 stars on. I found the fast pace of going against the clock a fun and challenging experience. After you finish each level you will get 1 item for your collection. Rated 2 out of 5 by Granny_Gruff from Throwback to the First HOP Games If you like to do HOP after HOP, this is the game you've been waiting for. You go through successive timed scenes to find small groups of objects, including one that has to be put together. Each scene has a brief character's intro that you read on-screen. After about eight of these, I bailed. The HOPs were not particularly enjoyable, the timer was annoying, and the star system obtuse. This is one game that you must demo to see if you can tolerate the time travel back to the beginning of the genre. Most of us would prefer more development in both story and game play. Rated 2 out of 5 by pennmom36 from IT'S A FUN OLD FASHIONED HIDDEN OBJECT GAME....FOR ABOUT 10 MINUTES I really don't mind an occasional throw back HOG, in fact I really enjoy games like Vacation Adventures. Although this game seems a wee bit better than the first Secret Investigations, because the scenes seem more interesting, it just gets kind of boring after 10 or 15 minutes of playing. The options are pretty basic, and there are no difficulty mode options available, and no way to play the game without a Timer. You can't even adjust the music and sound volumes, it's just an on/off button. There are 10 different Chapters or Investigations, and each Investigation has several levels, in fact the first chapter alone, has 31 levels, so it should be a fairly lengthy HOG. You can earn 12 Achievement Trophies, and most of the achievements have more than one category. The story or "case" is told before the start of each level, as a dialog box with no voice overs, a paragraph at a time. There are Hint Boosters available, you start out with 2 of each booster, and I'm assuming you will get the option to buy more if you run out. You can re-play any level, to earn a better star rating score, but the items are usually different than the first go-round. There is a Booster that will highlight one item from the list, another removes 3 items from the list, one that stops the timer on the level and one that illuminates the scenes that are darkened with just a small beam of light available to see the seen as you scan the area. Each of the items to find are shown as pictures, and one item will go into the inventory section, which must be dragged to the scene where it will logically be used, such as a fishing lure onto a fishing pole. Many of the hidden objects are way out of proportion, or are a totally different color than what is shown, especially in the scenes where everything is the same color hue. At best, this game is worth a free coupon, but I'm sure there are some die hard HOG fans that will find this game to be amazing. For me personally, it was fun to play for a few minutes, but then I lost all interest. Rated 1 out of 5 by warbler88 from Skip This One Disappointing. Insultingly bad storyline. The contrast in the items list was, in a few cases, so low that I couldn't identify what objects I was looking for. Graphics, at times, were minimized so much that I had as much of a chance of finding an object by randomly clicking than I did by looking. Which wouldn't have been so bad if you weren't trying to beat a clock that allowed very little time to search. 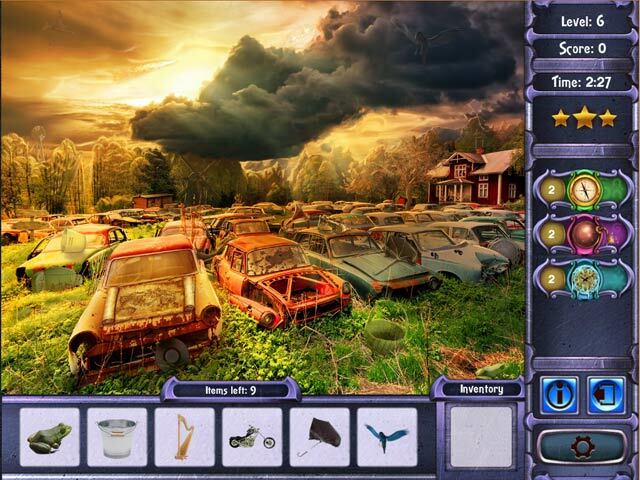 Find evidence to solve mysterious crimes and expose insidious criminals across 100 hidden object scenes with multilevel gameplay!